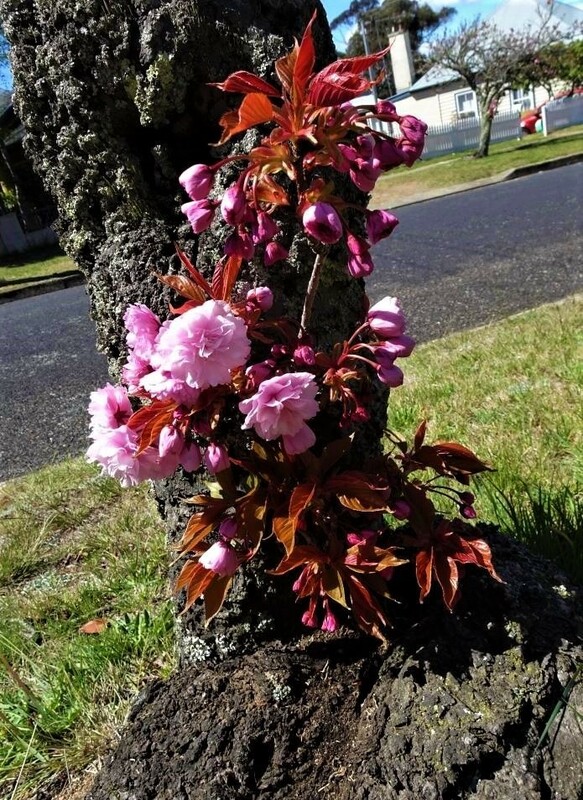 An historic planting of cherry trees. 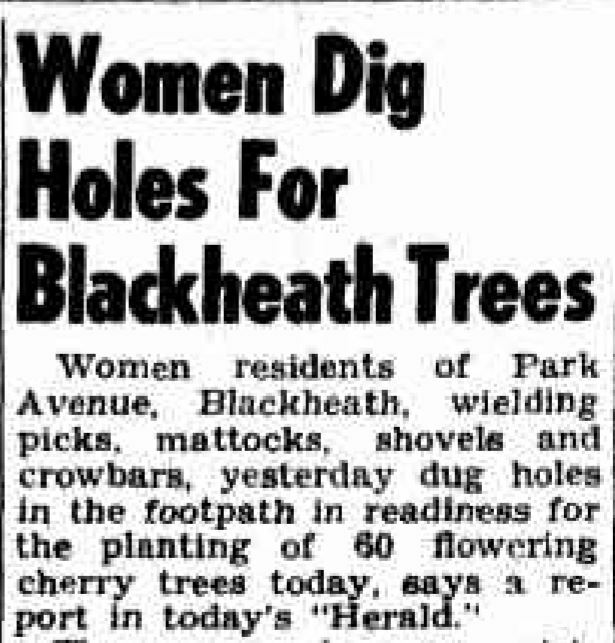 In 1953, the women residents of Park Avenue in the Blue Mountains village of Blackheath decided their street needed a little beautification. Let’s face it, the very word ‘avenue’ suggests a tree lined promenade. 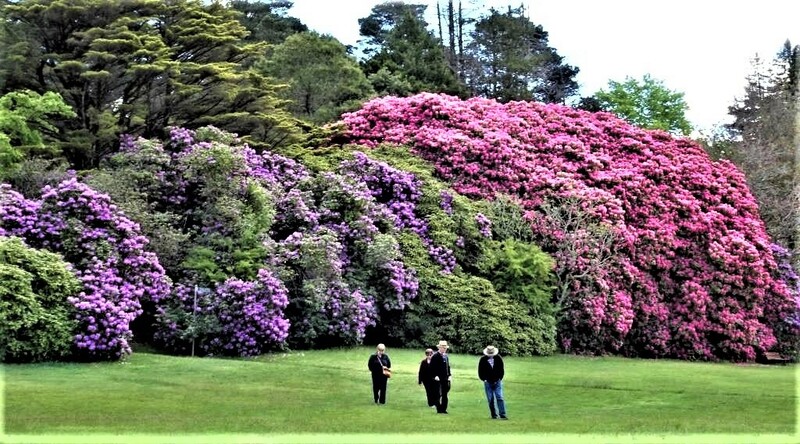 Perhaps they also felt a duty to live up to the glorious rhododendron trees just across the road in Memorial Pak. The rhodos had been planted by locals in 1923, to honour those who served in WWI. They are still a wonder to behold. Visitors admiring the giant trees. 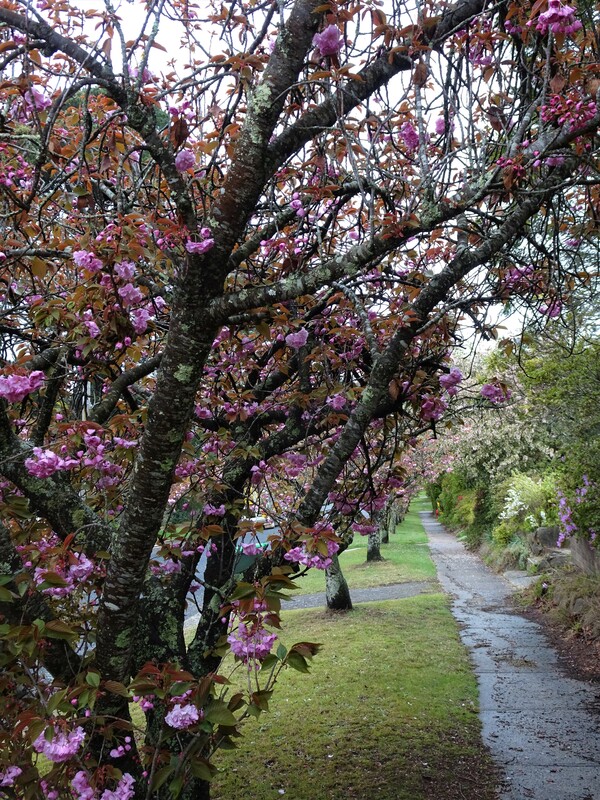 £2 was collected from each householder to pay for 60 well advanced, flowering cherry trees. The local council had agreed to dig the holes. However, as the year progressed council advised that their employees were too busy to complete the work before the end of the year. Well this just wasn’t good enough! It seems that Mesdames Mary Houen and Doreen Clement were the driving force behind the initiative, and they hastily organized a meeting. There was only one solution really; to dig the holes themselves. Each hole needed to be three feet deep and three feet in circumference. On October 11 the women armed themselves with picks, crowbars, mattocks and shovels and set to work, assisted by their children. I live and garden nearby, so I can vouch for the fact that it’s rocky! I build walls from the stones I unearth. The trees were planted the following day. 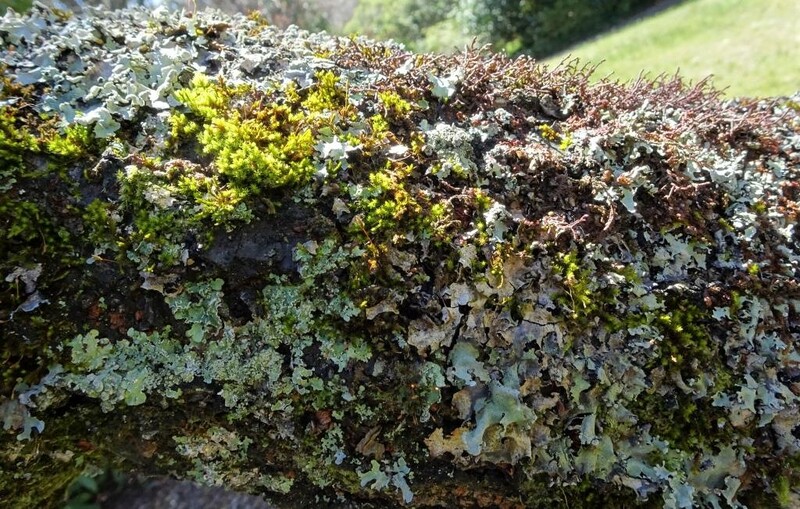 Sixty five years on the branches are gnarled and covered in lichens; beautiful in their own right. 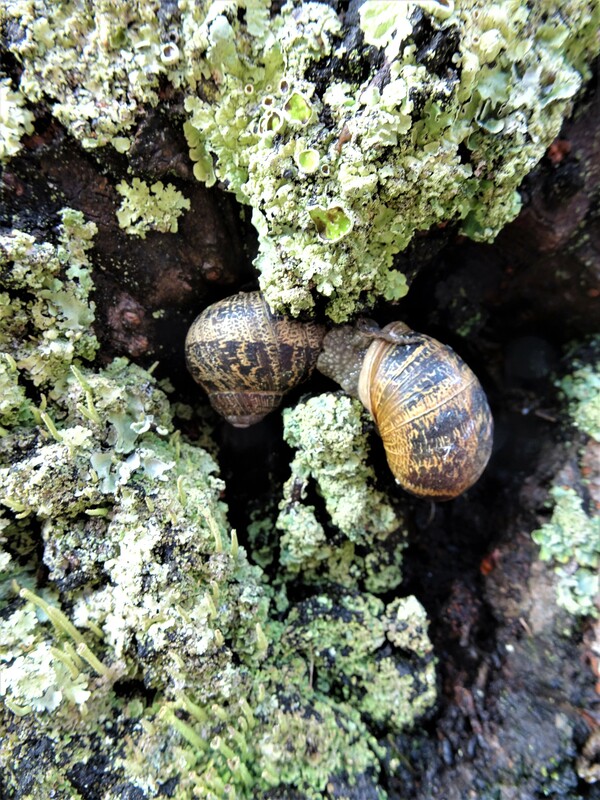 Knot holes have become residences for spiders and other insects. Perfect home for a spider. 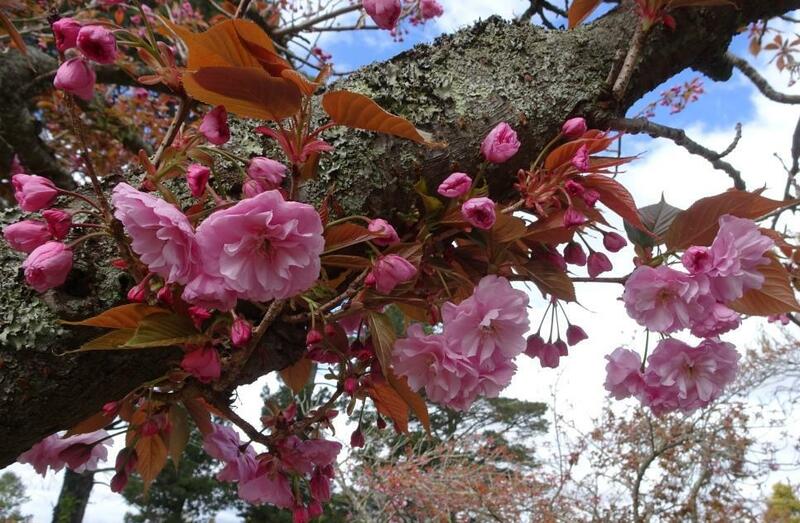 But there is life in the old cherry trees yet. The sap still runs and every year the buds appear, sometimes in the most unlikely spots. 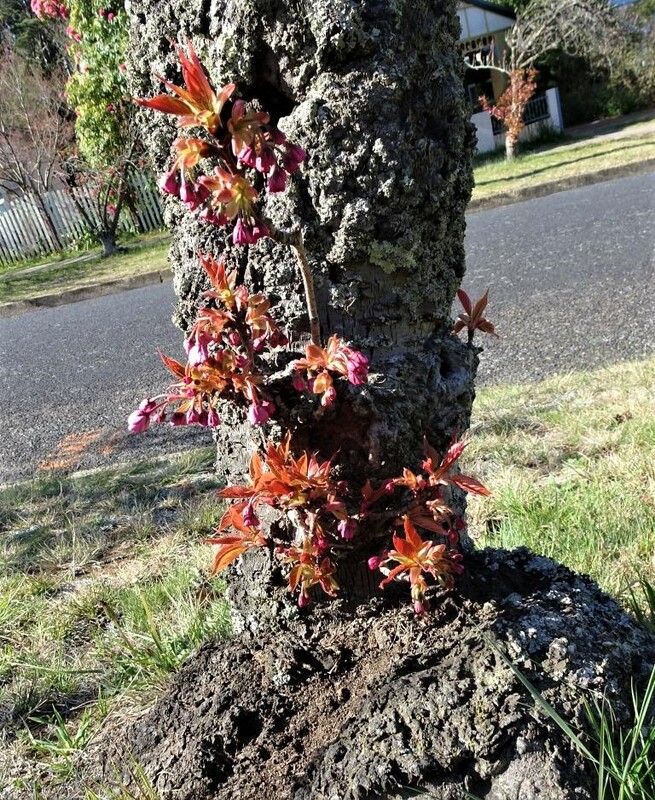 Blackheath’s Park Avenue cherries cannot compete with the spectacular show in Leura’s main street, but they are a wonderful legacy of community spirit. A sight to lift the heart. I wonder whether anyone remembers the great planting day? Today is the anniversary.